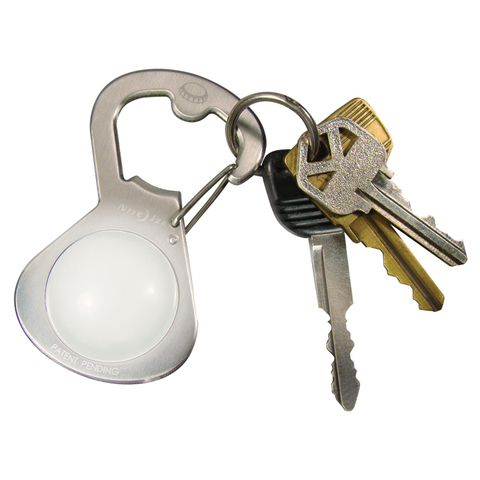 The Nite Ize S-Biner GetLit is two handy devices in one. 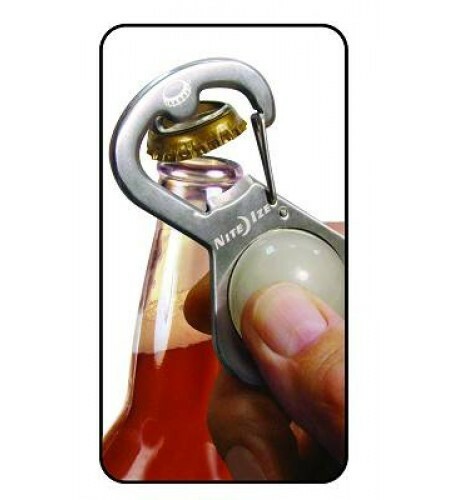 Its bottle-opener top features a high quality stainless steel carabiner clip with a secure gate closure, so you can easily attach it to a backpack strap, key ring, cooler/tackle box/ski bag handle, zipper pull, belt loop—anything with a loop or D-ring. 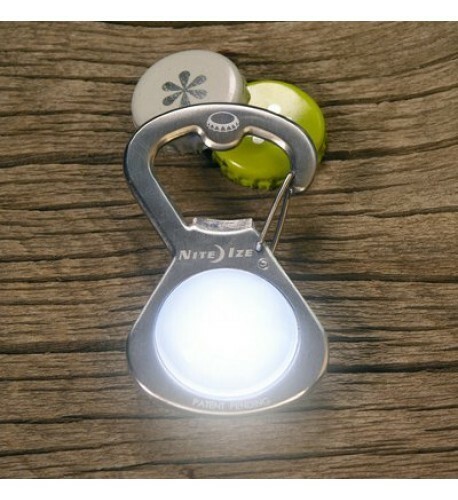 Simple to unhook and reattach, it's the perfect go-anywhere bottle opener, and with its built-in LED, it's a perfect anytime area light too. 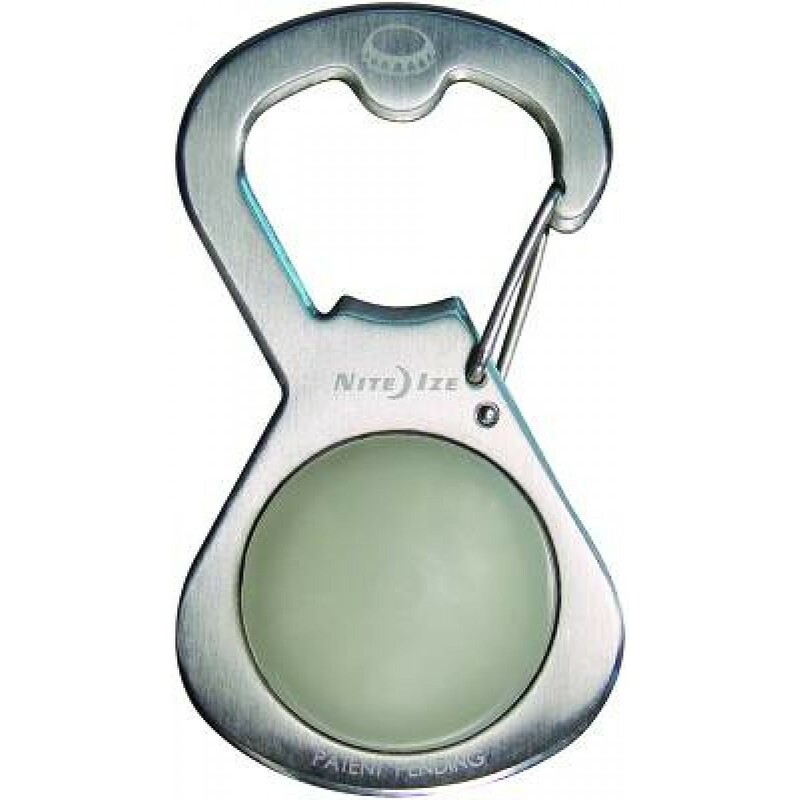 Available in high quality Stainless Steel for durability and functionality.